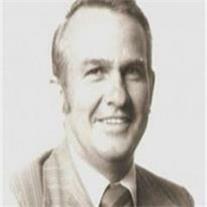 Ronald Allen Willis, 79, of Mesa, passed away surrounded by his family Dec. 7, 2010. He was born in Taylor, AZ on Feb. 7, 1931 to Clarence Edmund Willis and Eva Josephine Allen Willis. Ronald married his high school sweetheart, Veleda (Penrod) Willis. They were married 61 years. He was active in sports and was named Outstanding Athlete his senior year. He was a general contractor and built many homes and government projects in AZ and NV. Ronald and Veleda were served as directors of the LDS dance festivals held at ASU for 15 years. He served as a stake missionary and in many other callings in The Church of Jesus Christ of Latter-day Saints. Ronald loved the outdoors, especially camping and hunting. He shot many deer, elk, antelope and one Chevy floorboard. Ronald is survived by his wife Veleda, brother Chan (Linda) Willis & brother in law Charlie Hall-Taylor; children Rhonda (Ronald) Smith-Snowflake, Keevin (Judy) Willis – Mesa, Stacey (Gary) Farr – Mesa, Cricket (Doug) Hatch – Flagstaff, Mark Allen Willis – Mesa; 22 grandchildren and soon to be 38 great- grandchildren. He was preceded in death by his granddaughter, Jordan Hatch, his parents, brother Loye (Ione) Willis, and sisters Kate Hall and Violet (Earl) Reeves. Visitation is Friday, Dec. 10 from 6-8 PM at Bunker’s Garden Chapel, 33 N. Centennial Way in Mesa. Funeral services are Saturday, Dec. 11 at 10 AM, preceded by a visitation at 9 AM at the LDS Mountain Vista Ward, 6655 E. Preston Rd. in Mesa.